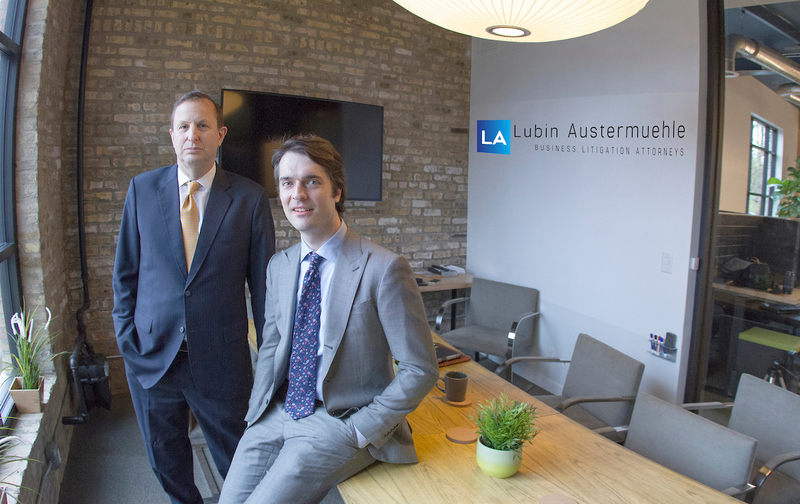 Consumer Fraud/Consumer Protection Category Archives — Chicago Business Litigation Lawyer Blog Published by Chicago, Illinois Business Litigation Attorneys — Lubin Austermuehle, P.C. Rialmo and Former Drew Peterson Attorney Joel Brodsky seeks to overturn 7th Circuit Order Affirming $50,000 sanction with pro se brief claiming ineffective assistance of counsel. You can read the pro se petition for rehearing here where Brodsky claims his sanctions hearing and appellate attorney allegedly caused him to incur the sanction award that may lead to his claimed financial ruin. As consumers become increasingly aware of the potentially harmful side effects of certain chemicals used to extend the shelf life of prepared foods, the demand for packaged foods that are free of preservatives has gone up and continues to go up. Many consumers are prepared to pay a higher price for foods bearing labels such as “organic” and “all natural,” while others simply refuse to buy any foods they cannot be certain are free from artificial preservatives. The more scrupulous buyers check the ingredients of everything they buy before taking it to the checkout counter, and over the years, people have come up with a few different rules regarding what to look for in the ingredients label. For example, some say you shouldn’t buy anything containing any ingredients you can’t pronounce, while others claim you simply shouldn’t buy anything with more than five ingredients. While most companies let people return a product a month or two after purchase if something goes wrong, some companies go above and beyond by offering a lifetime guarantee. The idea is to ensure customers that nothing will go wrong with the product during its lifetime, and if something does go wrong, the company will either replace the item or reimburse them the cost of the item. A lifetime guarantee is a sign that the company believes in the quality of its products and will go to great lengths to make sure their customers remain satisfied. But some people choose to interpret “lifetime warranty” to mean the product is guaranteed to last for the rest of their lifetime, rather than the standard lifetime of the product. According to Shawn O. Gorman, the Executive Chairman of L.L. Bean, some customers were taking advantage of the company’s lifetime warranty to mean anything they bought from the company would not be subject to wear and tear, and if it were, the company should reimburse them for the item or replace it. Recently, both have come under the scrutiny for different legal reasons. You wouldn’t think so, but they did. Would you buy makeup that had been opened and used by someone else? According to a recent class action consumer lawsuit, that’s allegedly what Ulta Beauty, a multi-million-dollar cosmetics company, has been doing. When people return cosmetics to the company for a refund, for any reason, store employees were allegedly instructed by managers to repackage and re-seal the returned items, then put them back on the shelves to be resold. The allegations started with a Twitter user who claims to be a former employee of Ulta. According to a series of tweets she posted, the alleged practice of repackaging and re-sealing used products extended to all the company’s products, from makeup to fragrance to haircare tools. After she posted these accusations, other Twitter users, also claiming to have worked for Ulta, jumped to back up her claims, while others rejected them. While the social media storm was no doubt a PR nightmare for Ulta, the Bolingbrook-based company now has a bigger problem on its hands: a consumer class action lawsuit seeking to represent anyone who has ever purchased products from Ulta. The lawsuit was filed in federal court in Chicago by Kimberley Laura Smith-Brown, who lives in Los Angeles and says she has bought dozens of Ulta products over the past six months, including eyeliner and lip balm.